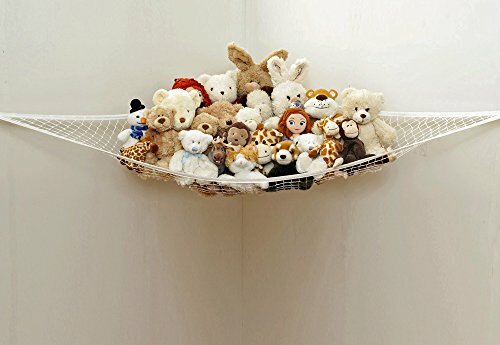 This stretchy, expandable storage hammock with 3 pcs screw hooks is an ideal way to neatly organize plush animals, dolls, pet toys & accessories, balls, towels and light sport equipment perfect for use in bedrooms, playrooms, dorms, basements and it's a creative way to organize props for schools, libraries, daycare, yoga studios, spa and wellness centers, etc. Teaches kids organization skills, your kids will love throwing their stuff into the hammock. Idea for a library, spa, school, daycare, preschool. If you have any questions about this product by Mingus, contact us by completing and submitting the form below. If you are looking for a specif part number, please include it with your message.